Chicago in the summertime is what Signalites live for — and this season in particular was one for the history books. 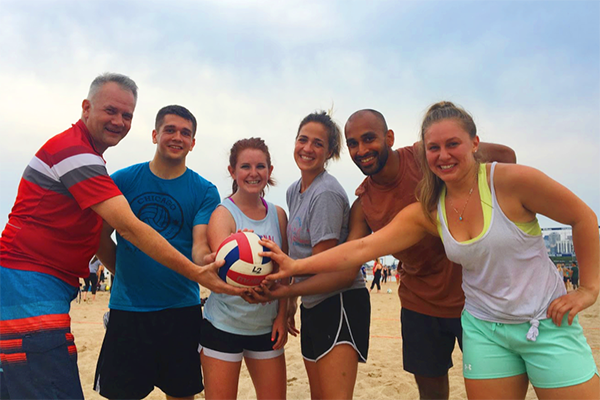 For the first time in company history, employees dedicated their evenings to compete on not one but two coed beach volleyball teams. Every Tuesday and Wednesday, the Signal Sharks and Unicorns brought their A-game to North Avenue Beach, Chicago’s sunny and sandy hotspot for recreational league play. Members of Signal’s Development, Sales, Human Resources and Marketing teams all participated, giving individuals the opportunity to connect with people they wouldn’t normally work with in the office — everyone from vice presidents and managers to former interns. Throughout the season, player skills improved via feedback from more experienced team members, and by the end, Signalites communicated more effectively with one another both on and off the volleyball court. In an unexpected turn of events, both the Sharks and the Unicorns even made it to the playoffs! And win or lose, the crew regularly convened at nearby bars like Old Time Social and Ranalli’s for post-game pizza, fried pickles and chips, and spiked lemonade. In mid-July, Signal put on its highly anticipated annual summer outing. A select group of Signalites spent weeks putting together an Amazing Race-inspired competition around the city, and as a gloomy morning turned into a gorgeous afternoon as we split into teams to solve puzzles and compete against the clock in a series of classic yard games like bag toss and ladder golf. Destinations included the Riverwalk, Millennium Park and — to round out the true Chicago experience — a final stop at Navy Pier, with bonus points awarded to teams for finding someone with a “buff bod” or a handlebar mustache. “This summer outing was special because it took people out of their element. Every team was working towards the same end goal, but all had different journeys to get there,” says Cole Nelson, Signal’s Office Manager. Perhaps the best part of the outing was the finale: a surprise booze cruise on Lake Michigan. Signalites boarded the luxurious Spirit of Chicago to dine, dance and take in all the views the city offers. 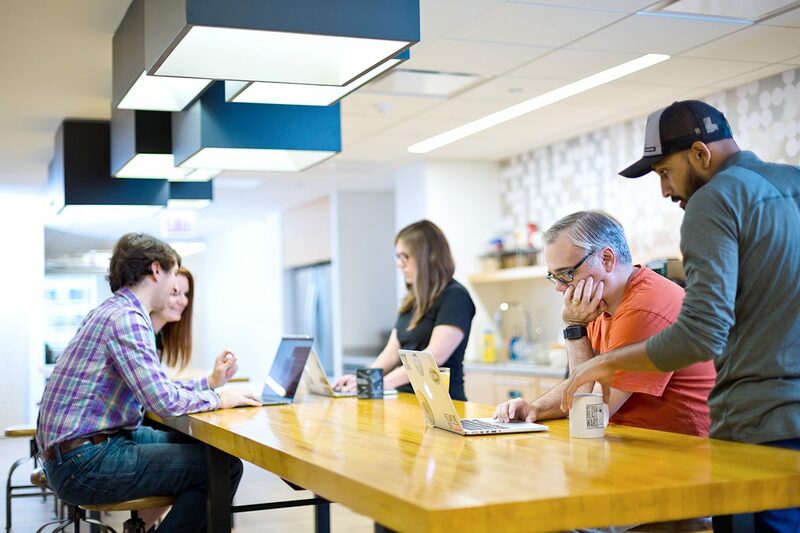 To kick off the summer, Signal undertook a massive move from its West Loop location to the Builders Building at 222 N. LaSalle St. — a site better suited for a thriving technology company thanks to its prime downtown location and more collaborative workspace environment. Christening the new office the best way we know how, Signal hosted a housewarming party, giving staffers another opportunity to mingle with co-workers while tasting craft beers from Chicagoland breweries like Metropolitan, Empirical, Temperance, Half Acre and Revolution (all of which lend their names to our new conference rooms). Signal employees further settled in by decorating the office: in addition to The Spotlight, a gallery for local artists, there’s a live plant wall to make the space feel more like home.